You may notice unwanted hair most in spring and summer when you wear a bathing suit, shorts or tank tops. Or you may have excess hair in areas such as the face, chest or back. We offer Laser hair removal services year-round from almost anywhere you’d like to see smoother skin and reduced appearance of hair without shadows and stubble. You are asked to shave the area the day before treatment. On the day of treatment, you should avoid applying any lotions, creams, sunscreens, makeup or deodorant to the treatment area. During treatment, one of two hand pieces will be selected. With the XC Hand piece, pulses of light are directed onto the skin, heating and destroying hair follicles without damaging surrounding tissue. Then the ChillTip immediately cools the skin. The High Speed Hand piece is a larger, vacuum assisted hand piece used for treating larger areas, such as the back, torso or legs. Your hair removal treatment can be done at our Glens Falls office in 5 minutes to 30 minutes, depending on the size of the area treated. You should experience minimal discomfort during the procedure; redness or swelling that occurs usually disappears quickly. At your consultation, we can answer your questions about Laser hair removal or any of the other medical spa and cosmetic surgery procedures we perform in Glens Falls, such as Botox, breast enlargement or tummy tuck. 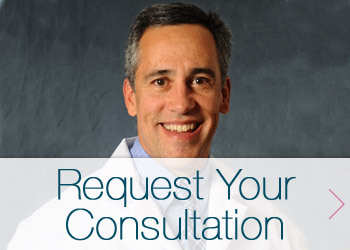 Request a consultation by filling out the form below or by calling (518) 793-0475.